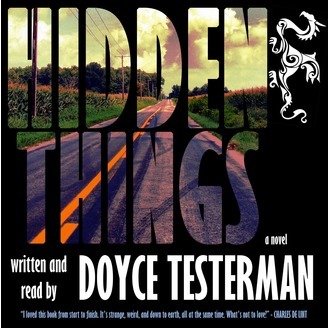 "Watch out for the Hidden Things..." That's the last thing Calliope Jenkin's best friend and former lover says to her before ending a 2 A.M. phone call from Iowa, where he's investigating a case she knows little about. Five hours later, she gets another call, this time from the police. Josh has been found dead; foul play is suspected. Calliope is stunned. Especially when Josh leaves a message on her phone a few hours later. Spurred by grief and suspicion, she heads to Iowa herself, accompanied by a road-weary stranger who claims to know something about what happened to Josh and who can - maybe - help Calli get him back. The road is not quite the straight shot she imagined. 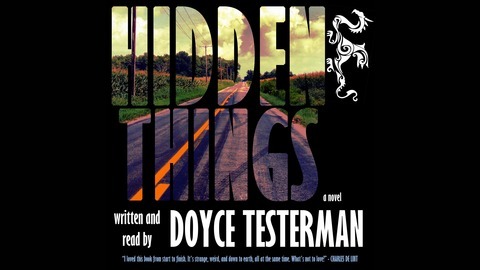 Josh was involved in something a lot more complicated than a teenage runaway or deadbeat dad, and Calliope find herself on a surreal road trip into - and behind - America's heartland, hounded by once-magical creatures twisted by living too long just out of sight and the bogeymen in Calliope's own troubled past.